A broader curriculum and new female management; that is this year’s JIC STARCUBE 2016. In addition to well-established topics like IoT and ICT security, it will also address the issue of augmented reality. This year, talented businesspersons will be led by experienced start-up consultant and long-term member of the JIC start-up team Hana Šudáková. By the end of this year, up to ten projects from all over the world will have undergone the three-month intensive programme. This round will be focused on four technological and five application areas. The former will typically include ICT security, sensors, big data or augmented reality. Other areas will be revealed by JIC upon the June launch of the sign-up procedure for the eighth JIC STARCUBE programme. The promotion of Hana Šudáková is yet another change with respect to JIC STARCUBE 2016. “She has been in the JIC STARCUBE team since 2012. She has since co-organised four rounds. 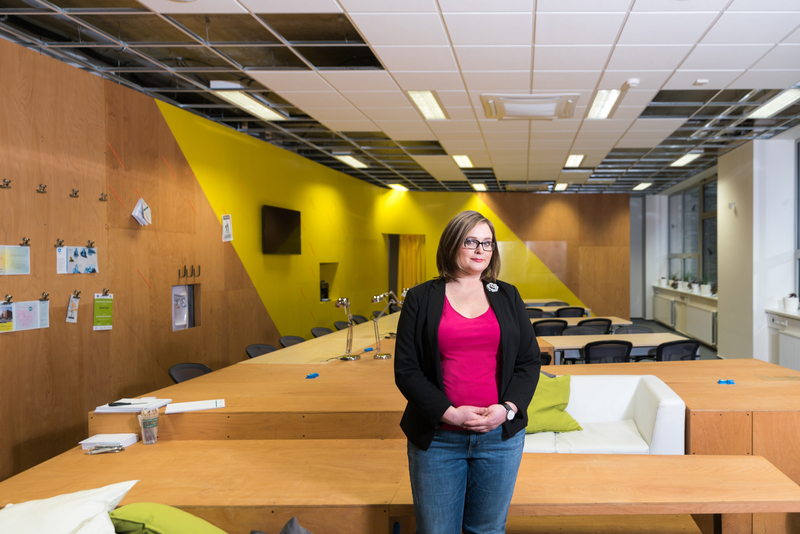 As a member of the start-up team and, for the last year, the manager of the JIC ENTER programme for rookie businesspersons, she has worked with dozens of rookie businesspersons. She has the necessary knowledge, insight and drive for the major project that attracts an increasing number of foreign teams every year,” says Vojtěch Krmíček, manager of the JIC start-up programme, about his choice of the new team leader of the longest-running Czech accelerator. JIC will accept applications between June and the beginning of August. The programme itself, for no more than ten most interesting teams, will be launched in September and concluded by the JIC STARCUBE Show in December where the projects will be presented. The last round of JIC STARCUBE took place during the last trimester of 2015, with 88 teams from 32 countries coming to Brno. A total of five Czech and five foreign projects made the finals. Lauded by the judges and the audience at the final show, an application named Feem for convenient file transfer was declared winner. The app currently has hundreds of thousand users and its author, start-up businessman Fritz Ekwoge Ekwoge from Cameroon, has been processing the necessary paperwork in order to open the European HQ of his business in Brno. JIC STARCUBE is the longest-running Czech accelerator. Since 2010 it has supported 72 projects, which have received almost 5 million dollars in investment from the private sector. An intensive program offers 3 months full of seminars, workshops and consultations with mentors. There are more than 80 experienced consultants to choose from. Participants are granted advantages and financial support in testing and prototyping, legal or tax services, marketing or the reimbursement of accommodation or travel expenses. As of the seventh round of the accelerator, the participation in the programme is subject to the transfer of 2% interest. Ranked among the TOP 20 most active accelerators in Europe by Fundacity, JIC STARCUBE has plenty of successful alumni to prove its ranking such as GINA, Skypicker, Reservio or OrganizeTube. The mission of the JIC is to empower people in creating and growing companies that change the world. That‘s why the JIC aims its activities at tech businesses at all stages – from the initial idea up to being a fully developed businesses. We help startups to grow and we support local developed companies to identify and exploit growth opportunities. The JIC supports companies in creating innovative processes, in establishing cooperation between research teams and in getting the most from modern technology. The JIC is a holder of the prestigious BIC accreditation, which is granted by the European Business & Innovation Centre Network (EBN) on behalf of the European Commission.